We are all, in the end, exiles from our childhoods, and lost to the things that used to make us happy. This need not be a disaster, but deeply felt and on the back of that feeling, Pixar has made a masterpiece. 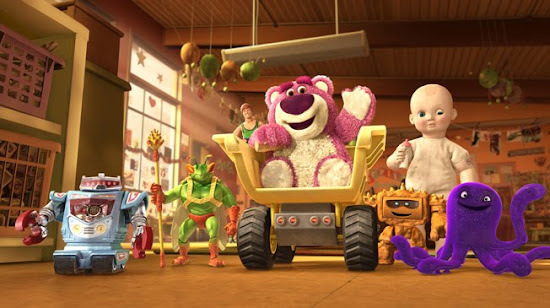 And, yes, there was a moment in Toy Story 3 - right at the end - when I cracked. It is not only a masterpiece but is one of the most heart-rending films I have ever seen. It is equal parts hilarious, warm, clever, exciting and touching, a story of friendship and imagination and a last blast of childhood joy before leaving the toys for the next generation of playtime storytellers. 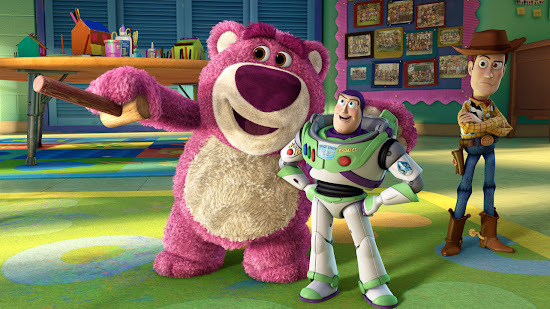 In Toy Story 3, Woody (voiced by Tom Hanks), Buzz Lightyear (voiced by Tim Allen) and the rest of the Toy Story gang return for an all-new adventure, along with a few new faces- some plastic, some plush- including Barbie's counterpart Ken (voiced by Timothy Dalton) and a strawberry- scented bear named Lots-O-Huggin-Bear (voiced by Ned Beatty). "It's the biggest, best, most exciting Toy Story of them all," raves Access Hollywoods Scott Mantz. As Andy prepares to depart for college, Woody, Buzz, Jessie and the rest of Andy's faithful toys wonder what will become of them. But, when a mix-up lands them at Sunnyside Daycare, they meet a host of new toys and soon discover a wild new adventure is just beginning. Buzzing with hours of bonus features, including the Pixar short film Day: Night, Toy Story 3 goes to infinity and beyond! 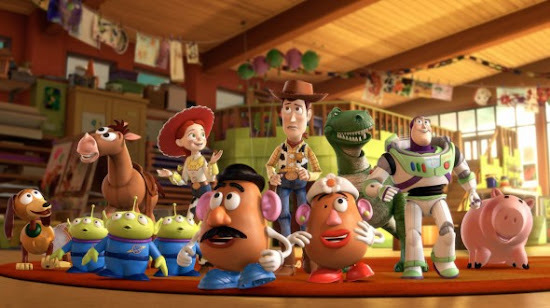 It has been more than 10 years of playtime with the loyal buddies of "Toy Story 2," and in that time the characters have grown up and grown out of toys. Like Andy, we too were making the tough decision, of what to do with our old toys. I think this is what makes it an emotional movie. Definitely worth a pickup for any Pixar/Toy Story fan, and if you haven't pulled the trigger on acquiring either of the previous films, you can pick up all three in a trilogy pack at Tesco Entertainment too as these are definitely some toys you'll want to keep forever. Oh well, I can never be a child again, but for one hour and 38 minutes, Toy Story 3 gets me close. This got me curious. Looks like an interesting film. :) Thanks for sharing, Mon! i watched this movie already and i had fun! One of the better 3D movies in the market.